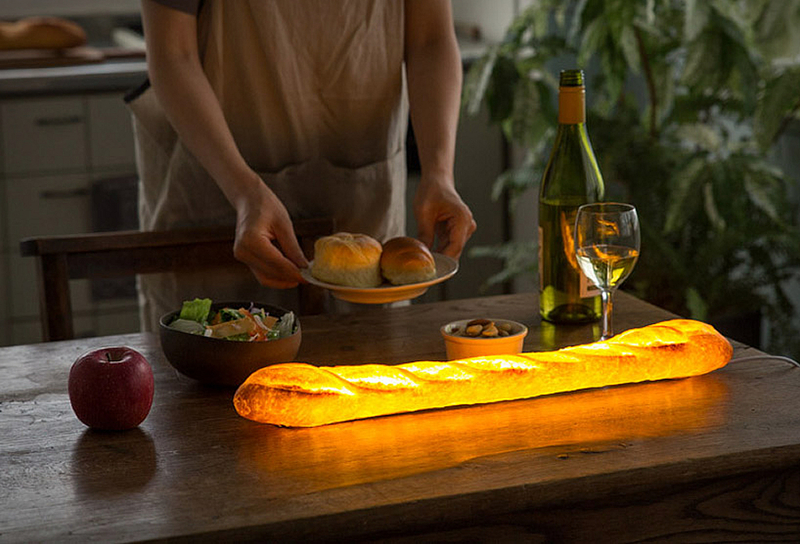 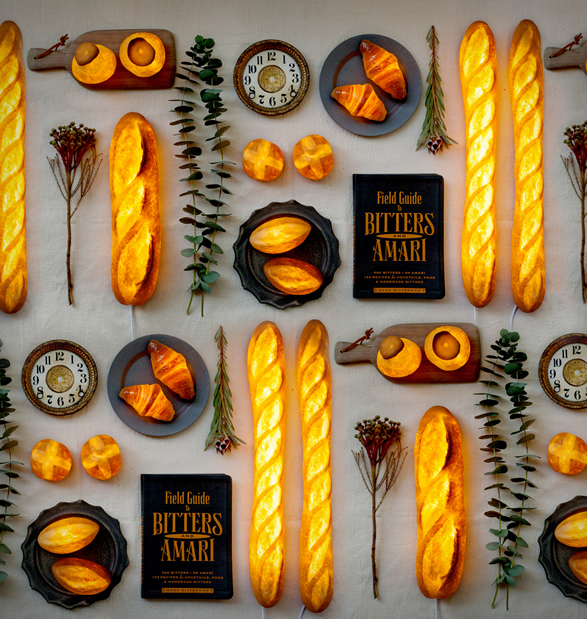 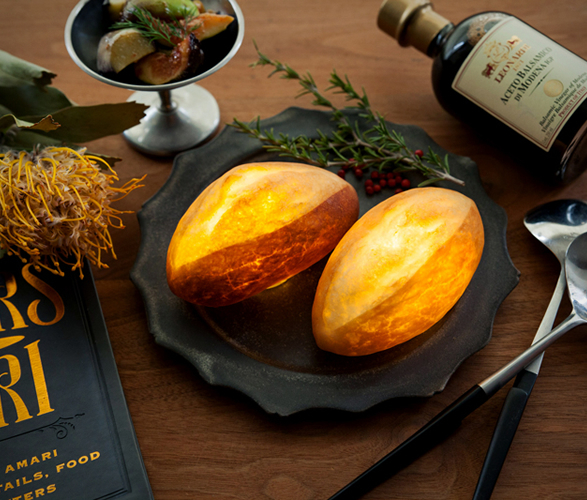 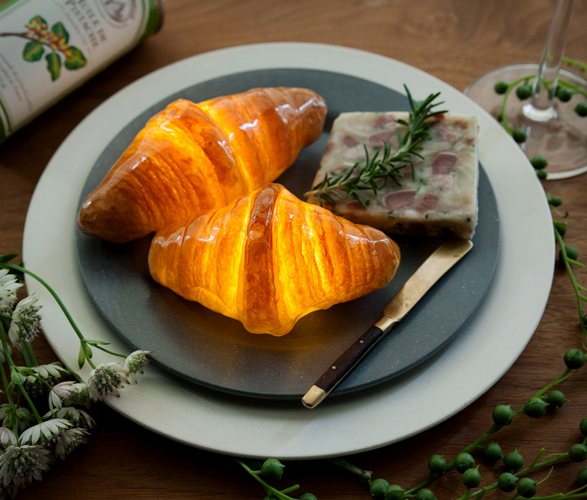 Japanese artist Yukiko Morita transforms real bread into functional lamps! 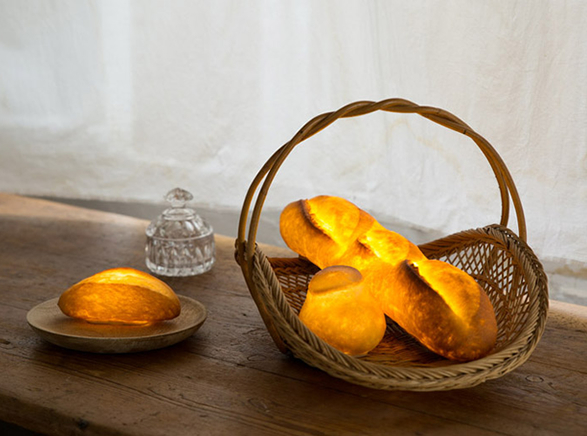 Pampshade is a collection of bread lamps made from actual loaves of bread covered in a layer of resin to protect the bread from decaying. 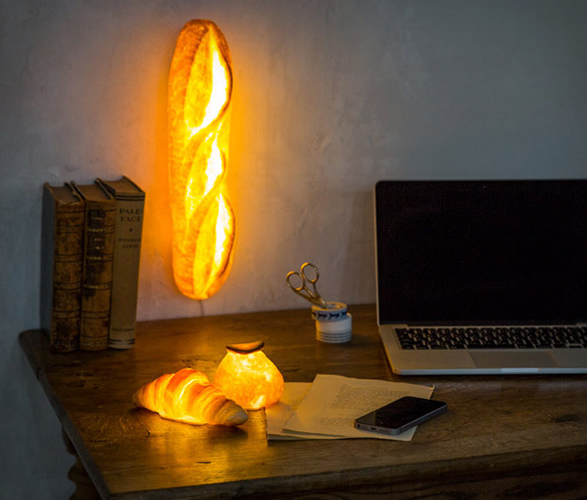 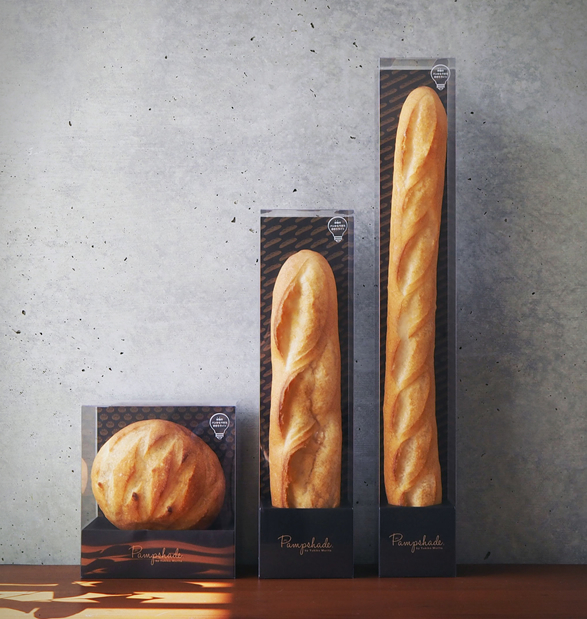 You can choose from several styles, from baguettes, batards, to croissants, with the smaller lamps using one AA battery, whereas the larger designs use A-shaped wall sockets. 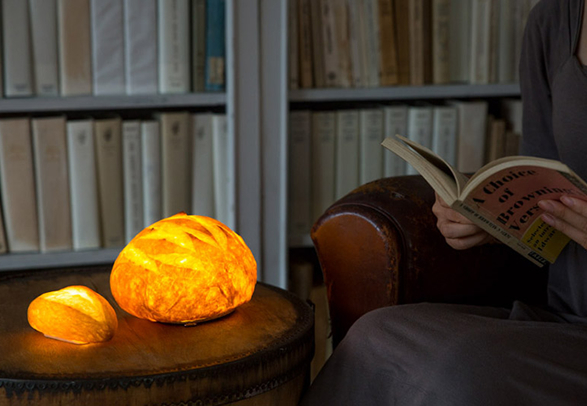 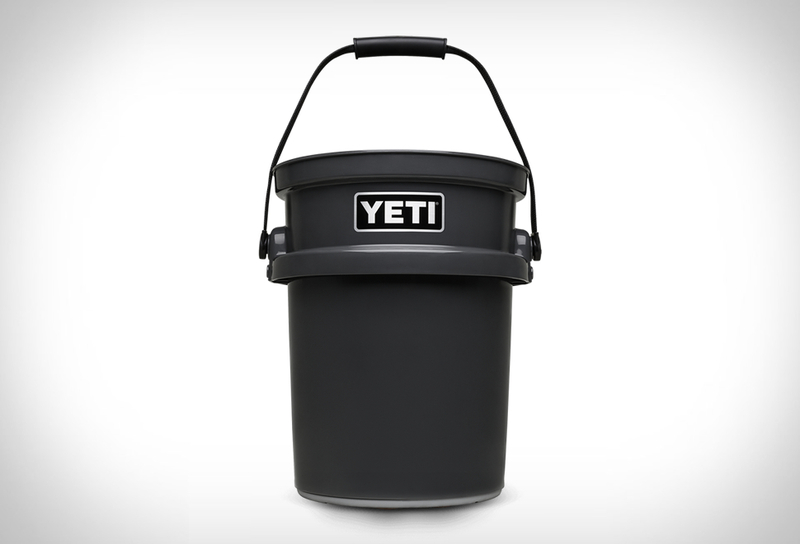 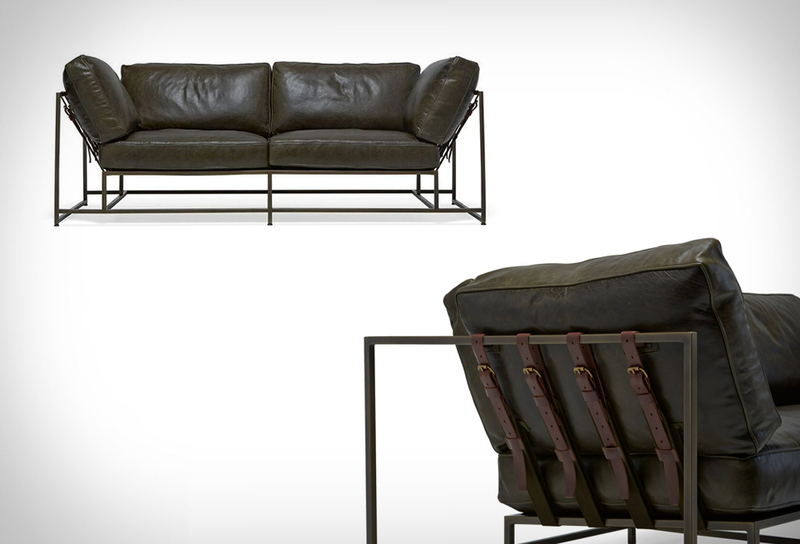 The lamps can be positioned wherever one desires, you can display it on a table or wall using an attached hook.